This beer is an opaque, deep dark brown color. It pours out of the growler with a fairly small head (roughly 1 finger) that dies away pretty quickly. I’m picking up mostly roasted chocolate malts on the nose, with coffee in the background, some nutty highlights, and the faintest hint of vanilla. The taste of the beer changes quite a bit from the initial sensation to the finish. Initially you are greeted with chocolate that transitions to dark roasted coffee/espresso by the finish. The roasted malts and hops keep things from getting too sweet and team up to leave you with bitter, dark coffee notes that linger for a long time. It reminds me more of a Porter/Stout than an English Brown Ale (in fact it is much more interesting than their stout Canis Lycaon). The mouthfeel is substantial but not super viscous. For 6% abv this beer packs an impressive amount of flavor and mouthfeel. The bitter finish keeps it interesting to the end of the pint. After one pint I was looking forward to a second, but after two pints the bitterness starts to wear on the palate and that was enough for a sitting. 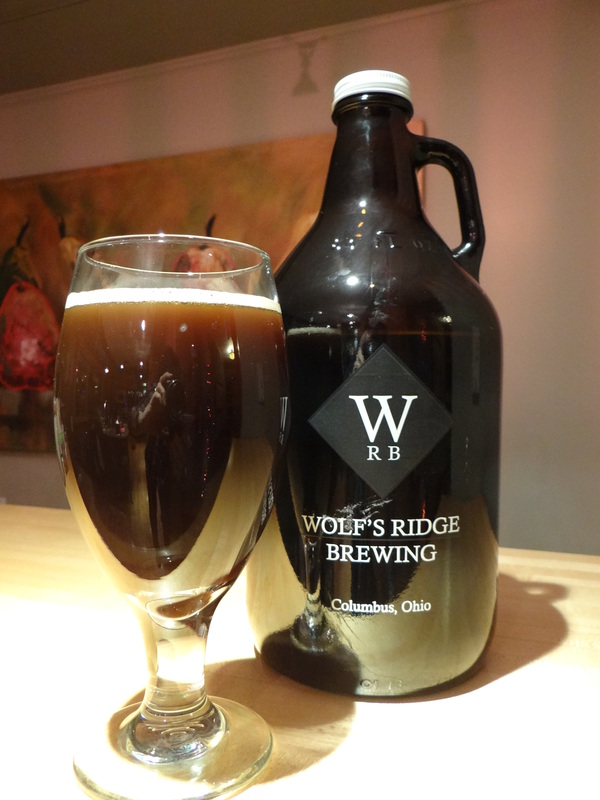 If you are in Columbus and make it down to Wolf’s Ridge this is a beer you need try. I think it would hold its own with many of the better brown ales out there. If you are intrigued with this beer head over to my writeup on the full lineup of beers at Wolf’s Ridge Brewing.